Where should you start with teaching beginners? Here are some thoughts that have been floating around in my mind about teachings methods. This cracked me up. 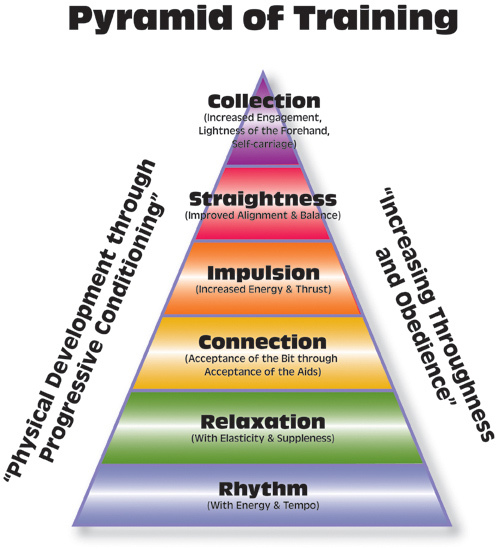 I think this second pyramid is a little closer to what the TR Instructor deals with on a daily basis! (Image from the article “The Dressage Training Pyramid for Mere Mortals”, guest post on Bob the Equestrian, the one minute reading of which would be well worth your time, btw). It reminds me of one of my Favorite Quotes which states the first goal of riding is to Stay On and Sit Still – or more nicely put, Balance. 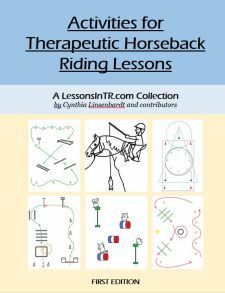 1) Start with teaching the balanced seat on the lunge line, until the rider can separate their limbs, then teach them the aids and set them free. (The more European Spanish-Riding-School way). 2) Start with teaching the aids for controlling your horse – with kids it’s usually on a lead line, with adults they usually ride independently – and teach the balanced seat as they go, typically just riding around the arena. (The more North American way). 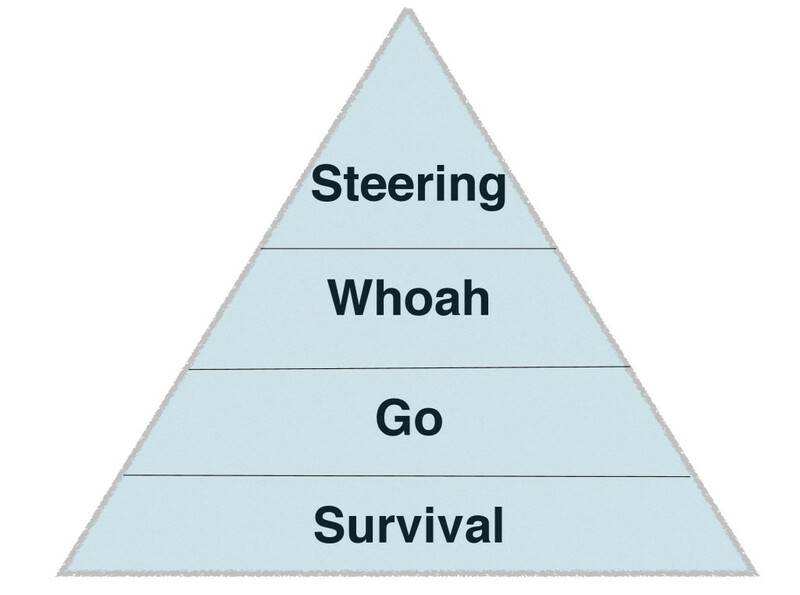 3) In TR we often need adaptations such as helping control the horse, support holds, motivating activities, and such. Therefore start we tend to start with the rider being led, with sidewalkers, and incorporate activities and games toward the end of learning riding skills and balance simultaneously. 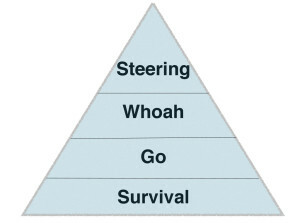 What more, rider’s abilities and adaptations differ, so we may adapt the way and order in which we teach riding skills. Some riders will learn halt before walk on, or sitting trot before posting, or vice versa. So that is all food for thought. Remember, you can use all of the methods! Some riders need adaptive support and games. Some need lunging. Others can be taught while “just riding around the arena.” Do what works best for each rider and is safe! Also remember that – whether you start off with teaching balance or riding skills, lunge line or lead line – you are ultimately teaching survival, because for many that is their first instinct when put on top of a huge unknown animal. So be kind and patient. 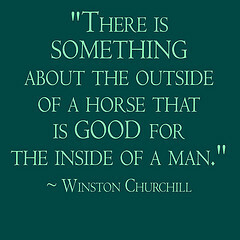 You are lucky to be a part of each rider’s journey! You are absolutely right about tailoring the progression to the rider! Sometimes we don’t know what is the “right” way – so we have to try something, and assess how it’s progressing on a continuous basis. As an example, I had several young beginner riders who learned to post by learning jump position first, learning to “touch” the saddle then back to jump position, gradually speeding up how quickly they went down and up. I applied this experience to the rider I started most recently. After a couple of months with minimal progress, I went back to the verbal prompt “up-down-up-down” method I had grown to deride with my other students. Within a few lessons, the latest rider had made much more progress with the method I disliked than over a much longer period of time with the method I thought was a better method. Go figure! Thanks for your comment! 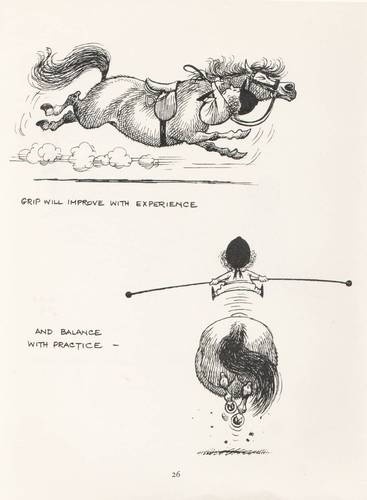 I have had the same experience with those two different posting methods, that is a a great example of progressing and teaching by what works for a particular rider!